The Fremantle Family Tree- (See Table and Tree at end of article for ease of reference). Fremantles have lived in Swanbourne since 1798. In the Summer of that year, Captain Thomas Francis Fremantle purchased The Old House, and a few small fields, as a home for himself, his wife Betsey, nee Wynne (1778-1857) and his young son, also called Thomas Francis (A1 below), who had been born just a few months earlier. So began the long and continuing association of the Fremantle family with the village of Swanbourne. In succeeding years, the family grew in number, until there were a total of nine children. Also he was able to purchase a farm, beginning a longer term process that resulted in the family owning most of the village farmland, and many of its houses too. Captain Fremantle spent much of the rest of his life at sea, taking leading roles in the Battles of Copenhagen and Trafalgar. 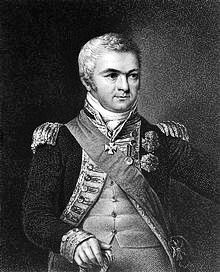 In 1819, he took command of the Mediterranean fleet as Vice-Admiral, but died unexpectedly the same year. Betsey lived on for another 37 years, which she spent mainly in London or on the continent. When Thomas (A above) died in 1819, his eldest son Thomas, aged just 22, took on responsibility for the family estate, with support and guidance from his Uncle William Fremantle, who was MP for Buckingham. Thomas, the first of the nine children of Thomas Francis and Betsey Wynne, was made a Baronet in recognition of his father’s naval services and contribution to the nation, and also inherited the title of Baron Fremantle, granted to his father by the Austrian monarchy. The younger Thomas Fremantle proved himself an astute financial manager, as well as being fortunate to inherit property and money from aged relatives, and also was in good favour with the Duke of Buckingham. 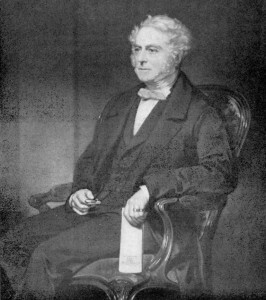 When William Fremantle stepped down as MP for Buckingham in 1826, Thomas took his place. He was MP for 20 years until 1846, and only gave up his seat when he fell out with the 2nd Duke of Buckingham over the repeal of the Corn Laws. But he was well rewarded with a position as vice-chair and then chair of the Board of Customs, posts which he occupied until after retirement on reaching his 75th birthday in 1873. In 1874, he was raised to the peerage as Baron Cottesloe. He had married Louisa Elizabeth Nugent (the daughter of General Sir George Nugent) on 24th November 1824. She had been born in Jamaica in 1803 when her father was Governor-General there. She died in 1875. Together they had 11 children (see B. below). In the meantime, he had purchased most of the farmland in Swanbourne, and also a significant amount of the housing, and in the mid-1860s, had had Swanbourne House built as his residence. He died in 1890, at the age of 92. Thomas’s younger brother, Charles Howe followed in his father’s footsteps by going to sea and rising to the rank of Admiral. In 1829, he was sent to claim Western Australia for the Crown, and the port town of Fremantle was named in his honour. He also took command of the harbour at Balaclava in 1855 in the middle of the Crimean War. Another brother, William Robert went into the church, and was Dean of Ripon between 1876 and 1895. Two other brothers, Henry Hyde and Stephen Grenville also went into the Navy, the latter also claiming territory, The Cocos (Keeling) Islands in the Indian Ocean, for the Crown. A2. Emma Eugenia Elizabeth Fremantle (1799-1886) A6. Louisa Maria Christina Fremantle (1805-1810) A5. Augusta Harriet Fremantle (1803-1863) and A8. Cecilia Fremantle (1809-1871). Of the 4 daughters, Emma and Louisa (who died aged 5) did not marry, but Augusta and Cecilia made beneficial aristocratic marriages to Sir James Fitzgerald and Lord William Hervey respectively. B1. Mary Fremantle 1826-1885), B2. Eliza Maria Fremantle (1826-1891) and B3. Augusta Mary Fremantle (1828-1903). The first three of the 11 children of Thomas Francis and Louisa Elizabeth Nugent were daughters, Mary, Eliza and Augusta who all made aristocratic marriages. B4. Thomas Francis Fremantle (1830-1918) – 2nd Lord Cottesloe. Their fourth child, again named Thomas Francis, was a Director and then Chairman of the London, Brighton and South Coast Railway, and was MP for Buckinghamshire for nine years from 1876 to 1885. He succeeded to the title of Lord Cottesloe on his father death, and moved into Swanbourne House. He was the 2nd Lord Cottesloe married Augusta Henrietta Scott, the daughter of 2nd Earl of Eldon, on 9th September 1859 and together they had six children (see C. Below). B5. William Henry Fremantle (1831-1916), B6. Charles William Fremantle (1834-1914), B7. Edmund Robert Fremantle (1836-1929). B8. Emily Caroline Fremantle (1838-1929), B9. Cecilia Elizabeth Fremantle (1840-1929), B10. Louisa Frances Fremantle (1843-1909) and B11. Stephen James Fremantle (1845-1874). The second son, William went into the church, and succeeded his Uncle William as Dean of Ripon. 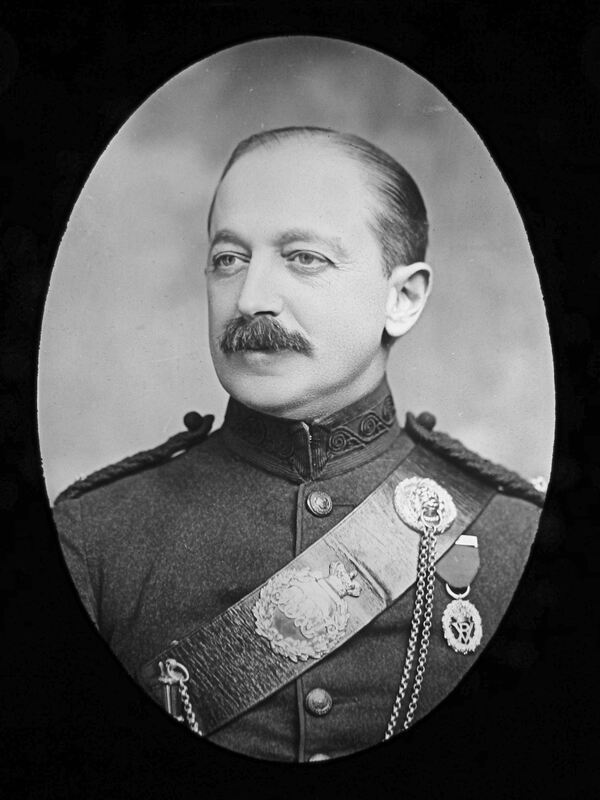 Charles was Deputy Master and Comptroller of the Royal Mint for at least 20 years. Edmund was another member of the Fremantle family who went into the navy, and rose to the status of Admiral, and also had a son, Stephen, who became an Admiral. Two more daughters, Emily and Cecilia married clergymen, Louisa was unmarried and the last of their children, Stephen, became a clergyman – but died young, at 29. Thomas and Augusta had six children. Their second child was a boy, whom they named Thomas Francis, and he became the 3rd Lord Cottesloe on the death of his father in 1918. On 16th April, 1896, he married Florence Tapling (1875-1956), the orphaned daughter of Thomas Tapling who had made a fortune in the carpet industry. The other children were: C1 Mary Louisa, C3 Reginald Scott, C4 Gertrude Charlotte, C5 Cecil and C6 Walter. Only one of the 2nd Lord’s other children married. The 3rd Lord and Lady Cottesloe had eight children. Unlike his father and grandfather, they chose to live in the Old House rather than much larger Swanbourne House. Their eldest, D1 a boy, was named Thomas Francis Halford Fremantle (1897-1915). The additional name of Halford being added because of the 3rd Lord’s close friendship with Sir Henry Halford, who had shared a common interest in firearms with the 3rd Lord, and who, on his death in 1897, had left his Leicestershire estate to the Fremantle family. 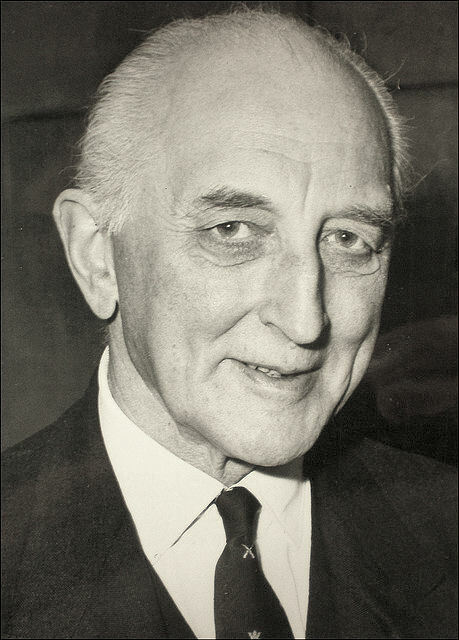 Sadly, the young Thomas was killed during the 1st World War aged 18, and it was his younger brother, D3, John Walgrave Halford (1890-1994) who succeeded as Lord Cottesloe. The 4th Lord lived most of his life in London, and amongst his many accomplishments was his role as Chairman of the South Bank Theatre Board. One of the three stages of the National Theatre was named the Cottesloe, in his honour. Of the other children, D2, Florence (1898-1969) spent time as a missionary in the Middle East, and D5, Margaret (1904-1994) was part of the team of scientists which developed penicillin, eventually marrying Howard Florey, who shared in the Nobel prize for the essential part he played in turning Alexander Fleming’s discovery into a practical medical treatment. The other children were D4 Edward St John, D6 Christopher Evelyn, D7 Bride Faith Louisa and D8 Katherine Dorothy Honor.